Caravanalia is one of the UK's leading independent caravan accessory retailer and one of the biggest in North Wales, specialising in caravan groundsheets, caravan accessories and full and porch awnings. 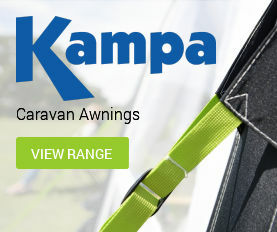 We have brought together a fantastic selection of caravan products from some of the leading caravan accessories and awning suppliers including Kampa, Isabella, Milenco, Vango, Outdoor Revolution, Dorema, Whale and many more all backed by our quality customer service and reliable, and unbiased information. Our caravan accessory shop based in Llandudno, is just 10 minutes off the A55 junction 19 and covers 6000 sq ft of retail heaven for caravaners, with everything from toilet chemical to TVs and much more in between. 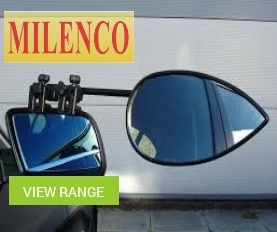 Our large awning display showroom has displays from leading brands, so you can take your time to explore and select you ideal caravan or motorhome awning, all with the backing of our sales team on hand to give advice and guidence. Looking for caravan servicing; repair; motormover install or a solar panel, we have an onsite workshop to deal with most requests. Please click on one of the links below to take you to our service site. We look forward to welcoming you to Caravanalia. Subscribe to our newsletter for caravan news, amazing product offers, exclusive Caravanalia offers and amazing caravanning tips and tricks. We came to see John at Caravanalia regarding our Truma Heater problem. He was helpful straight away over the phone asking us to come in and within 20 minutes of arriving he had fixed the problem! Amazing service and willing to help (even on a Sunday!) Thanks again John! !